The Baby-Sitter’s Club is probably coming back to TV and it sounds like it might be teen Girl Boss? 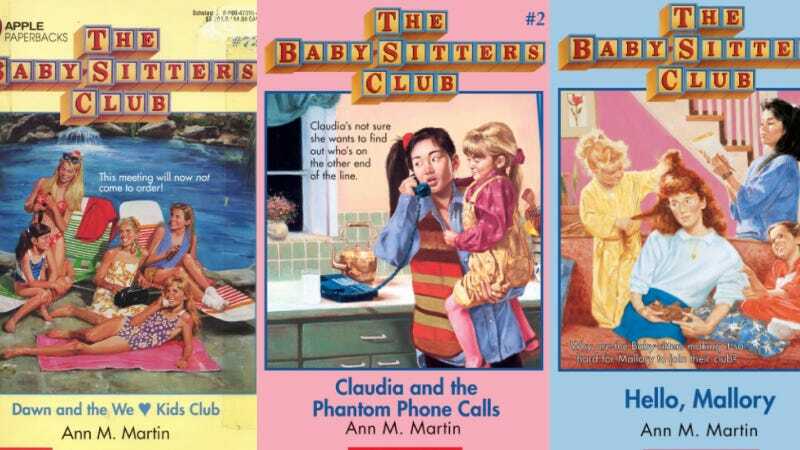 As a tween, I easily read a hundred books from Ann M. Martin’s The Baby-Sitter’s Club series. I even wrote a passionate letter to Martin, asking that she name her new characters after myself and my BFF. I received a form letter with a handwritten note at the bottom that read: “Say hi to ___ for me!” to both my delight and my embarrassment. In fact, I loved the books so much that it’s taken me till my 30s to openly admit how much I loathe childcare. So the idea of a TV show updated for our horrid modern era should be exciting, but the description from The Hollywood Reporter is freaking me out. The new series is being “packaged for the 2018 marketplace as a timely story of female friendship, entrepreneurialism and empowerment.” Yas, Fearless Girl is babysitting. Maybe this is the perfect time for BSC to come back as a story of young women banding together and getting that money. Or maybe one of them will be a little anticapitalist freak in a scrunchie, campaigning for universal childcare. Real Question: Is Dawn Schafer Responsible for the Measles Outbreak?